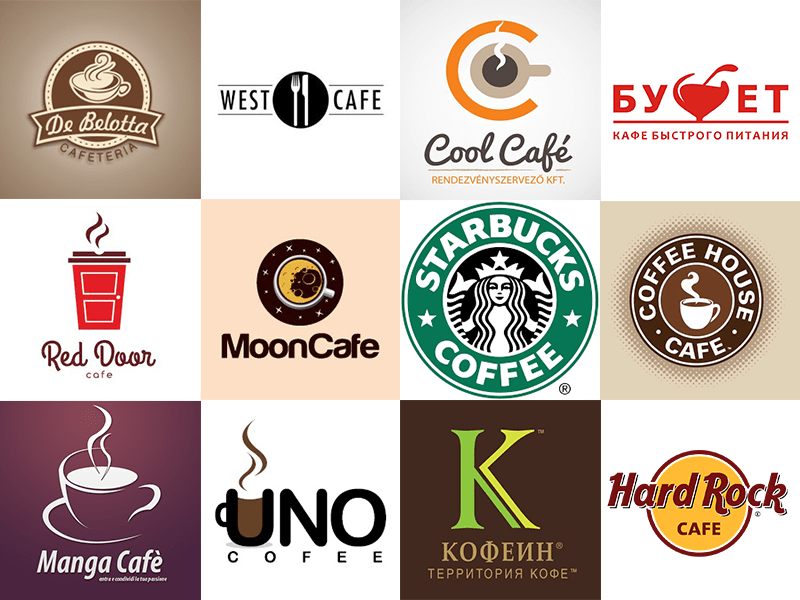 Creating a neat café logo is the most important step in crafting your brand identity. It’s in your power to make your logo unique and memorable. 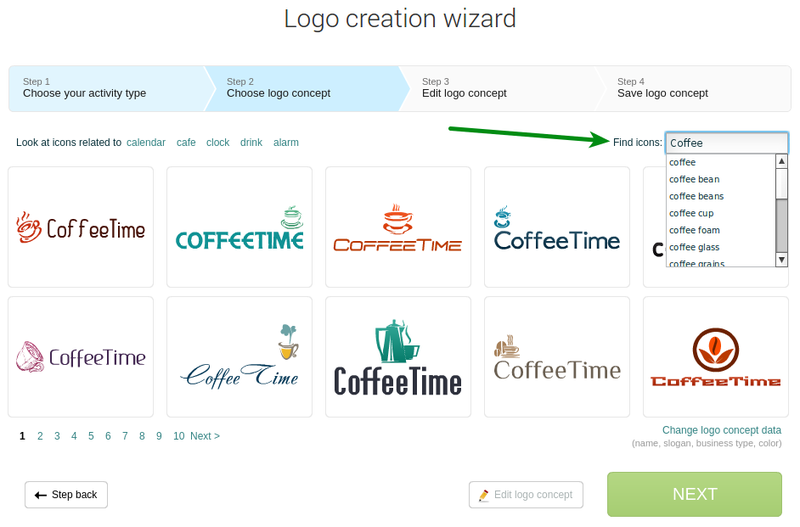 With the Logaster platform and the tips below, you can create an effective café logo in a matter of minutes. sweets and other food images (cake, cupcakes, chocolate bar, coffee). 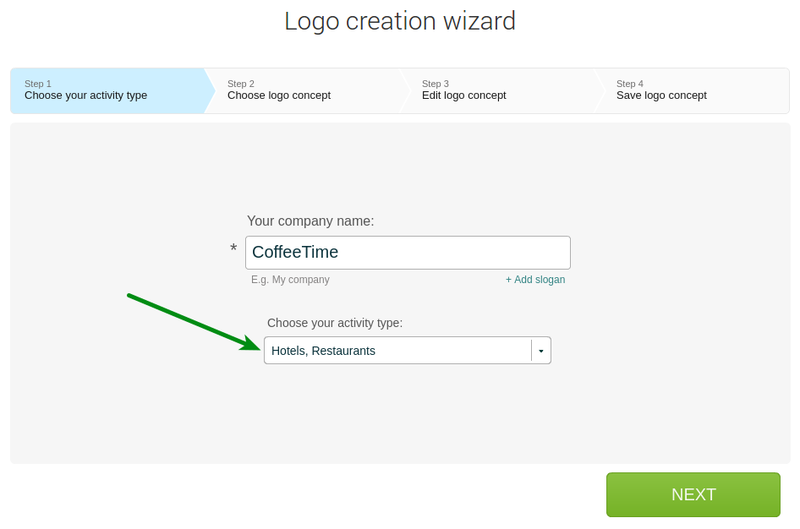 To pick the right icon for your café logo in Logaster, select the “Hotels, restaurants” category. If you’ve made up your mind, use keywords to specify your search request. Both Russian and English keywords will do perfectly. Keywords for choosing an icon: cup, teapot, spoon, knife, samovar, pastry bag, spatula, chef’s hat, apron, cake, cupcakes, chocolate bar, tea leaves, coffee beans. Give preference to natural colors, such as beige, brown, and muted green. This is an ideal color solution for cafes, coffee houses, restaurants, and tea and coffee shops. Check out our article to find the best color for your café logo. 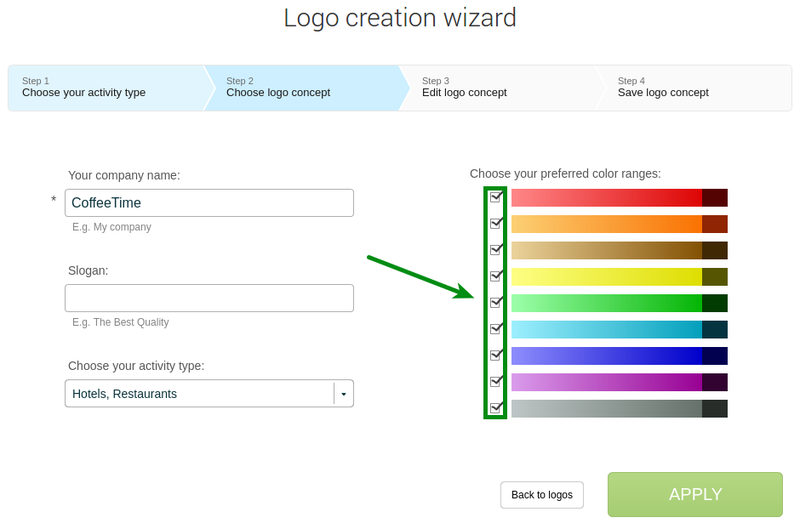 Setting your selected color in Logaster is a piece of cake. 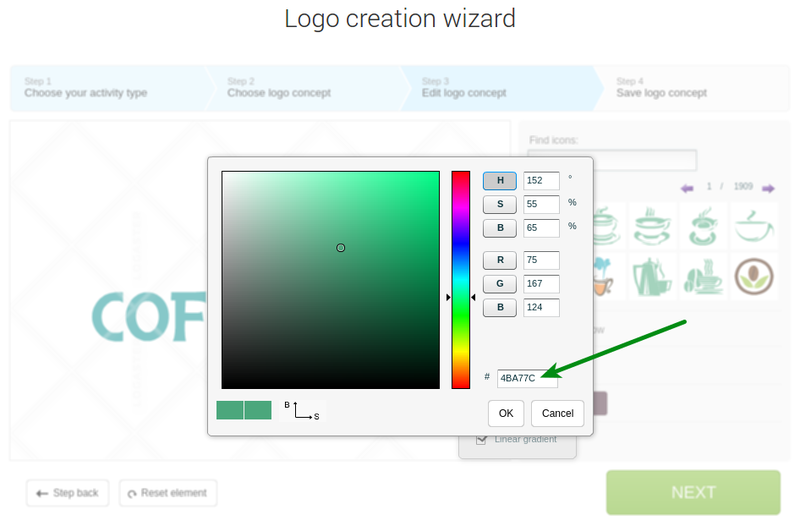 Insert its HEX code into the relevant field when editing your logo. The best colors for a café logo: beige, brown, muted green. Font-icon combination. Pair bulky fonts with massive icons. 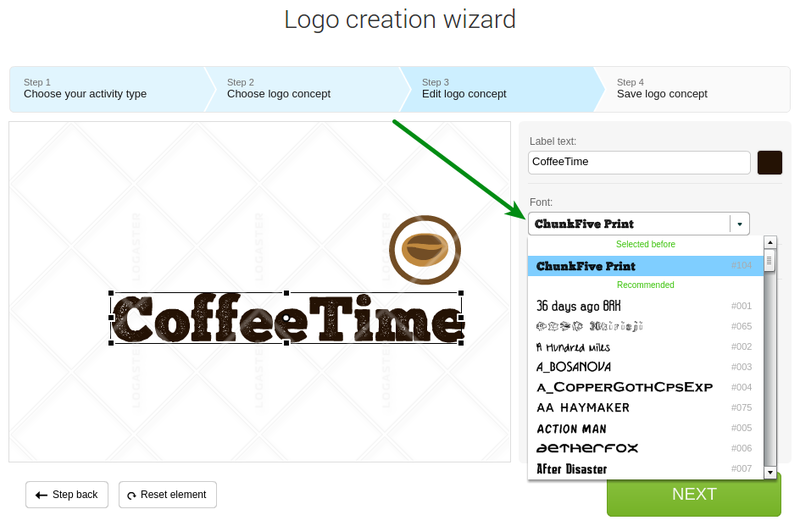 In Logaster, you can pick any font for your café logo during editing. 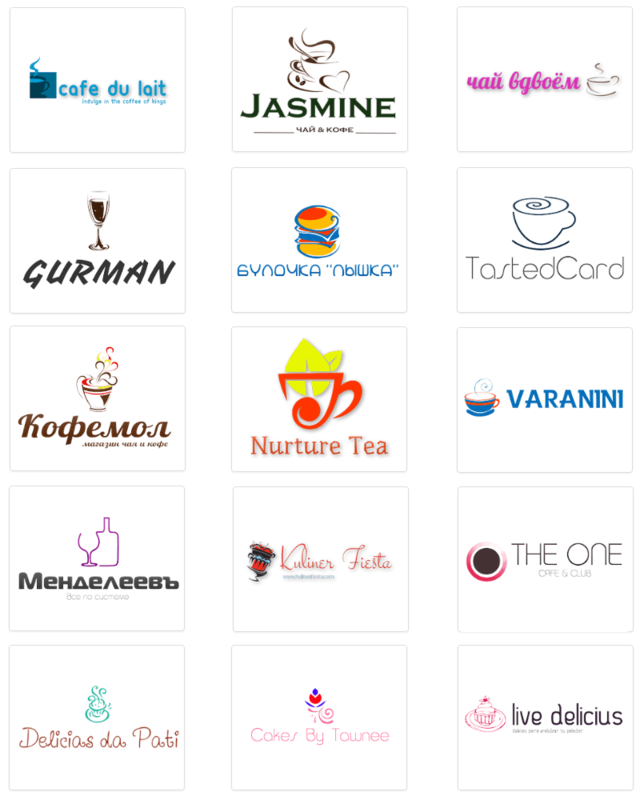 Smart font choices for your café logo: СP Font, Cuprum, Oranienbaum, Croissant One, Andantino Script, Dita Sweet, Comfortaa. Use one font, two tops. One font is your best choice. Two fonts are acceptable only if text dominates your logo. Do not clutter your logo. A recognizable icon and a legible café name (or short motto) are the only things your logo really needs. Do not overdo it with colors. Even if you’re creating a bright logo for your art café, avoid using more than 4 colors. Leave enough free space on the edges. Be sure to save your logo in vector format. Making a smart café logo is not rocket science. You just need to follow some simple recommendations. In our gallery, you can have insight into our café logo collection. 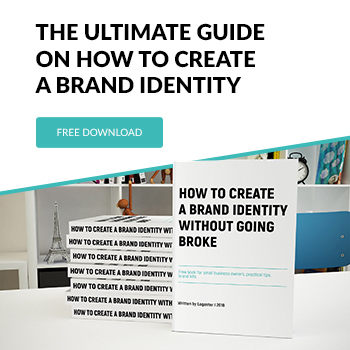 Take a few minutes to create your one-of-a-kind logo now. Create business cards with Logaster! 7 Types of Logos: Which One to Choose?